A trip to Qatar would be a waste without this incredibly adventurous journey into the endless heart of the desert. Experience the rapture of an exhilarating roller coaster ride with luxury 4x4 vehicles driving across the tranquil sand dunes leaving you captivated. En route there is a stop for a breathtaking view of the Inland Sea, which is the natural border to Saudi Arabia giving an opportunity to enjoy the serenity of the timeless desert. A great tour for all ages including singles or families. 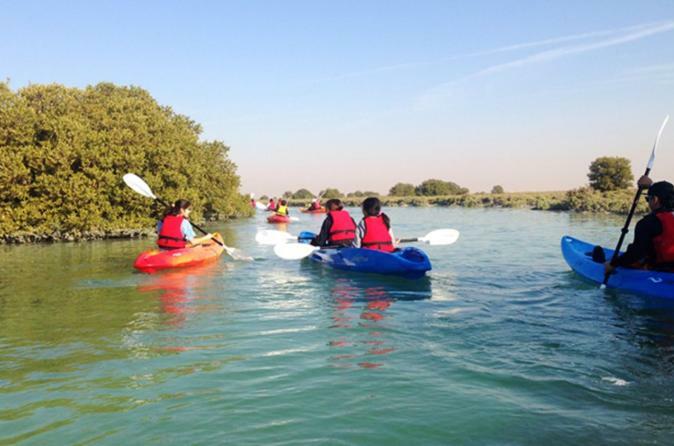 Explore the different winding channels of the Al Thakira bay mangroves taking in the views of wildlife life including reef egrets, terns, herons as well as enjoy an occasional jumping fish. 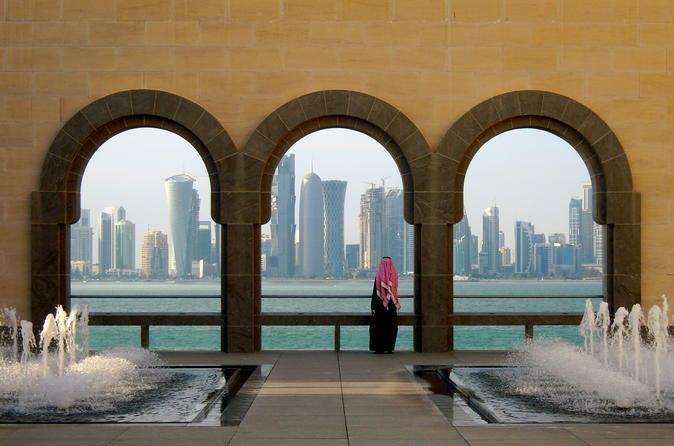 Join this tour to discover 3 jewels of Qatar’s cultural crown. Mathaf, Museum of Islamic Arts and Sheikh Faisal Bin Qassim Al Thani Museum. The Sheikh Faisal Museum gathers a unique private collection owned by one of the royal members Sheikh Faisal. Showcasing 15,000 historical pieces among which traditional Qatari artifacts, old-timers from all over the world as well as paintings & international art. Watch the camel training at the camel race track alongside the Equestrian Club, which is the royal stable of Qatar where we will visit the priceless royal and international horses and watch their training. 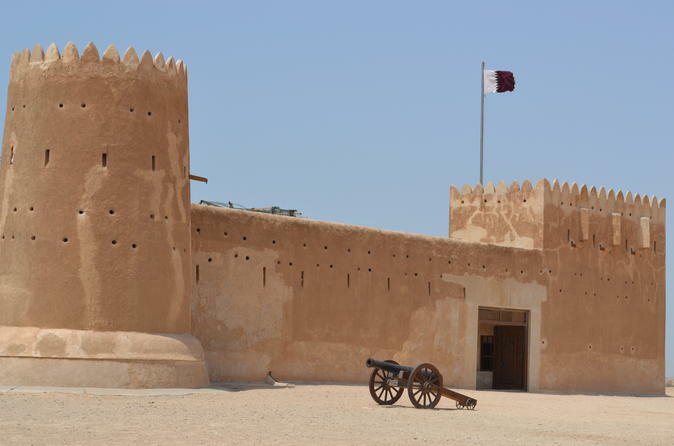 Welcome to the Historical Trip of Qatar. Your tour guide will take you to Al Khor Fishing Harbour which was the country's center for Pearl and Fishing. You will pass Al Thakira where the view of mangroves can be seen. 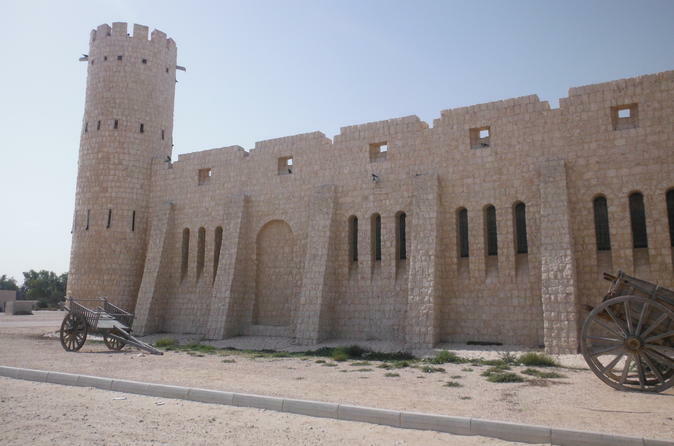 You will also visit the ancient mosque in Al Jassasiya then to the Famous Al Ruis-North tip of Qatar and lastly to the Al Zubara Fort. 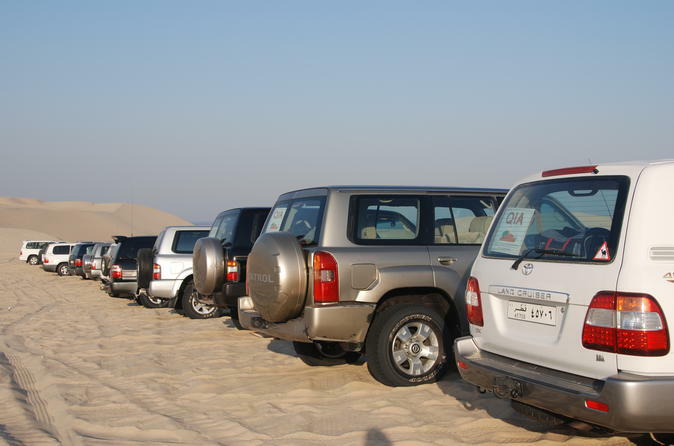 Dune bashing is such a popular sports activity in Qatar. Join this tour to discover why! The stylish Bedouin camp is located nearby and you will spend the night there. Be prepared for an exciting adventure. Enjoy sand boarding, a camel ride or simply just swimming. Watch the stars during night time, while listening to the music next to the bonfire. 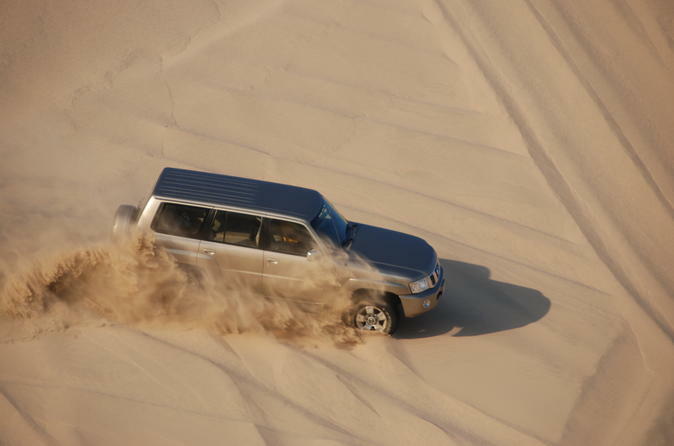 Fasten your seat belts and be ready for the adrenaline-charged experience through sand dunes and smooth sandy mountains to the beautiful landscape where the Inland Sea meets the Desert. Have your bags ready as you are taken you around in Qatar’s best shopping malls. 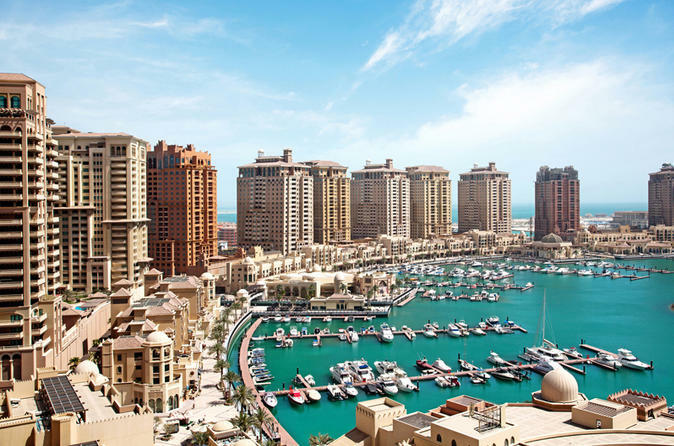 You will be driven through Doha City, moving ahead to The Pearl-Qatar, an artificial island in Doha with fantastic international designer shops then continue to the Lagoona Mall. The mall is accustomed to deluxe shopping avenues and boulevards, remaining conspicuous with its unique timeless elegance. The final station is the famous Villaggio Mall, an extraordinary shopping center in the shape of Little Venice. Souq Waqif is a showpiece of traditional architecture, handicrafts and folk art, and was once a weekend trading area for the Bedouin. The only traditional souq to remain in the Gulf, it is now a charming labyrinth of narrow streets where visitors can bargain and purchase an amazingly diverse range of products. 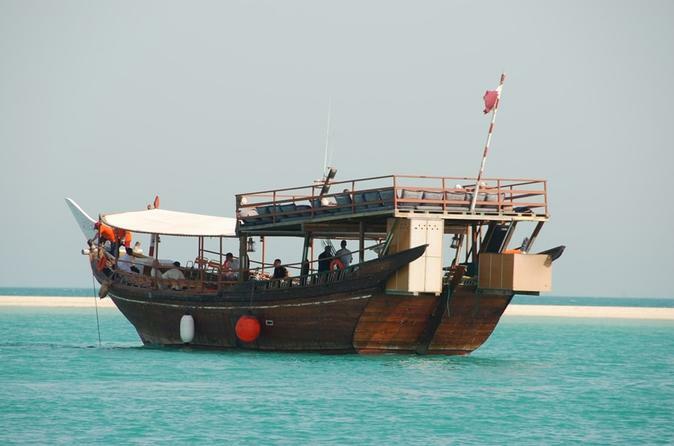 Enjoy fishing off a traditional Dhow. You will fish and then relax whilst your on-board chef prepares your catch.